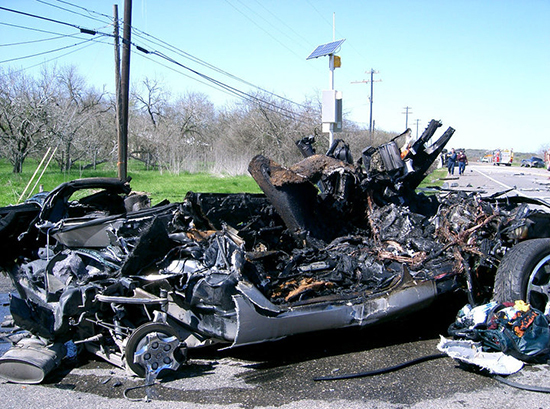 What was left of Tyson Dever’s Corvette in 2005 is shown after it was crushed by a 33-ton cement mixer driven by a distracted driver. UHV will host Dever April 15 as part of Distracted Driving Awareness Month. 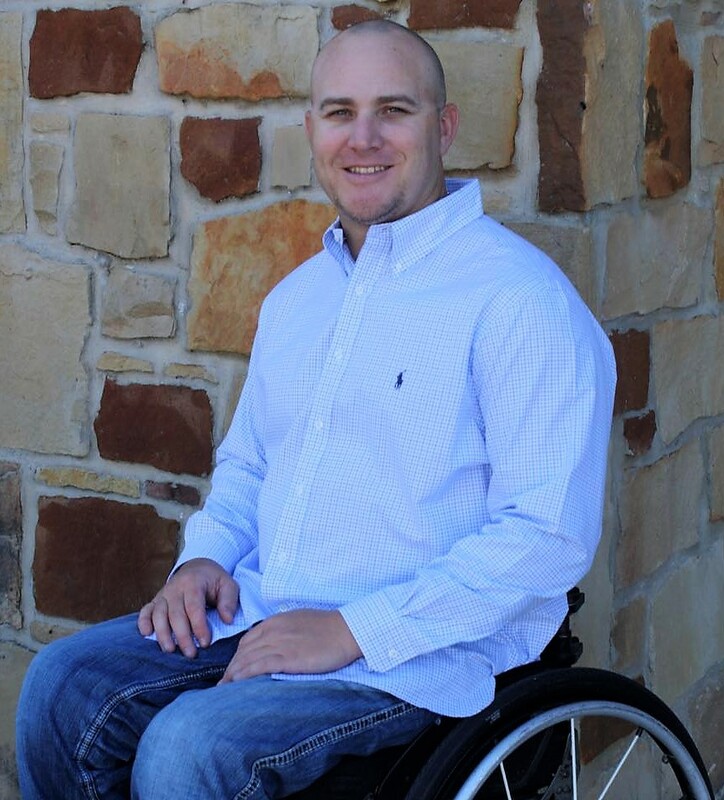 The University of Houston-Victoria is participating in April’s national Distracted Driving Awareness Month by hosting motivational speaker Tyson Dever talking about how he survived a nearly fatal car crash caused by a distracted driver. 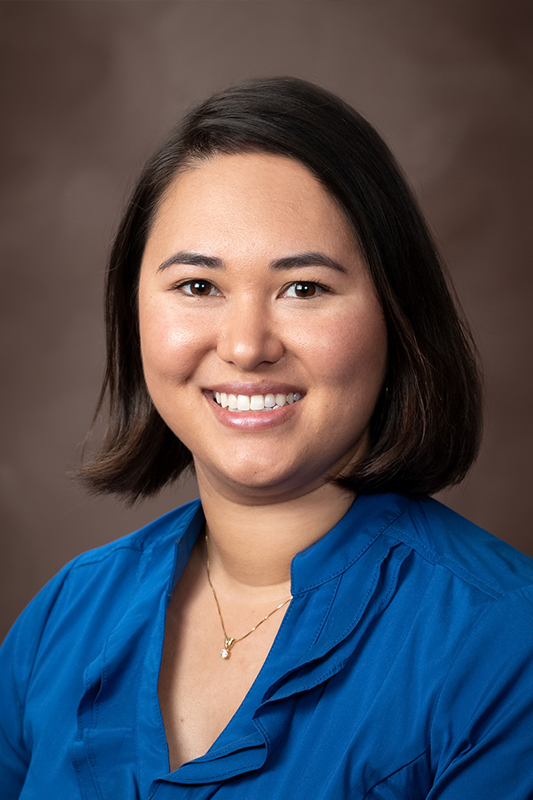 Dever’s presentation will be at 6:30 p.m. April 15 in the UHV University North Walker Auditorium, 3007 N. Ben Wilson St. The event is free and open to the public. The university partnered with the Texas A&M Driving Institute and Department of Transportation to fund Dever’s presentation. Dever participates in U in the Driver Seat, a peer-to-peer program that focuses on traffic safety and addresses all major risks for the college student age group. U in the Driver Seat seeks to help college-age drivers learn to drive responsibly in order to reduce the number of deaths from car crashes. Dever survived a car crash in 2005 that left him paralyzed from the waist down. Despite his circumstances, Dever has dedicated his time to inspiring people to live life to the fullest and overcome obstacles. He has spoken to thousands of students across the country and will continue to share his energetic, moving story with UHV students. The event is intended to offer an experience that will inspire and motivate audience members to understand the importance of driving without distractions. Watch a preview video of Dever’s presentation. For more information, contact Hicks at hicksca@uhv.edu or 361-570-1418. The University of Houston-Victoria, located in the heart of the Coastal Bend region since 1973, offers courses leading to 70 bachelor’s, master’s and specialist degree programs and concentrations in the schools of Arts & Sciences; Business Administration; and Education, Health Professions & Human Development. UHV provides face-to-face classes at its Victoria campus, as well as a teaching center in Katy, and online classes that students can take from anywhere. UHV supports the American Association of State Colleges and Universities Opportunities for All initiative to increase awareness about state colleges and universities, and the important role they have in providing a high-quality and accessible education to an increasingly diverse student population, as well as contributing to regional and state economic development. 3007 N. Ben Wilson St.
How can I get email to go to my Android phone? How do I activate my UHV account for the first time?